Tell your friends, and alert the town elders: Beige is officially the new black. Previously a rather derogatory term for someone considered bland and unoriginal—essentially the old-school term for “basic”—beige hasn’t had a great rep when it comes to fashion. However, the stylish powers that be have not only declared a new era for this earthy hue, but they have also revealed that going head-to-toe beige is your fast-track ticket to looking expensive without breaking the bank. 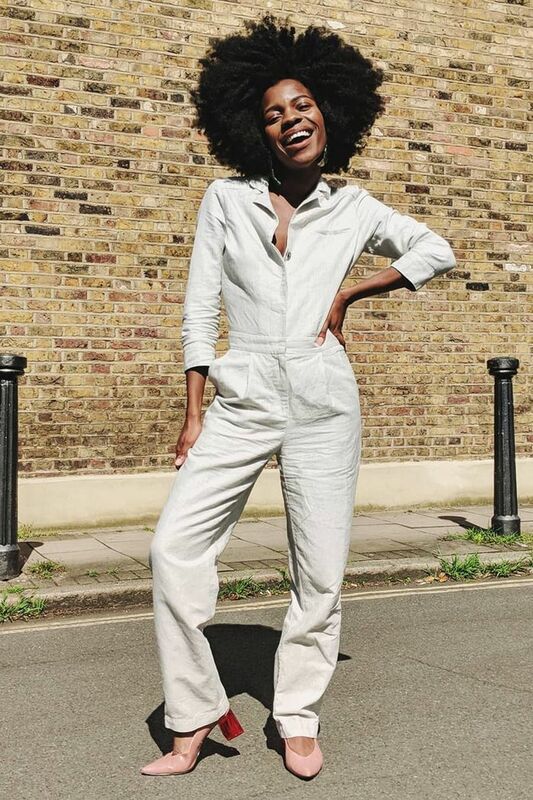 From jumpsuits and dresses to suits and shoes, the Insta crowd has gone wild for this look, ensuring that we have enough beige outfit ideas to last us all summer. Rustic fabrics like linen and raffia are popular choice when it comes to beige dressing; you certainly can’t go wrong with a button-up linen dress, straw tote and espadrilles for Audrey Hepburn–inspired holiday style. However, we’ve been won over by the smarter iterations of the trend —just look at Lucy Williams’s shorts-and-blazer combo and Jeanette Madsen’s beige suit. Even Alice Catherine’s loose linen layers look instantly pulled-together when rendered in shades of beige. It's all about layering textures and balancing soft fabrics with structured silhouettes. Consider it your summer smart casual go-to. Scroll down to discover our pick of the best beige buys. Style Notes: An oatmeal-hued blazer is a spring/summer 2018 must-have. Style Notes: A utility jacket and raffia bag keep this look modern. Style Notes: Lucy Williams layers luxe textures to add polish to Mango’s linen co-ord. Style Notes: Add in another neutral shade to help break up a beige outfit. Style Notes: A beige dress and raffia accessories is an easy way to try the look. Style Notes: A tonal suit looks cool when slightly oversized like Jeanette Madsen’s. Up next: the holiday packing list every girl should check before travelling.